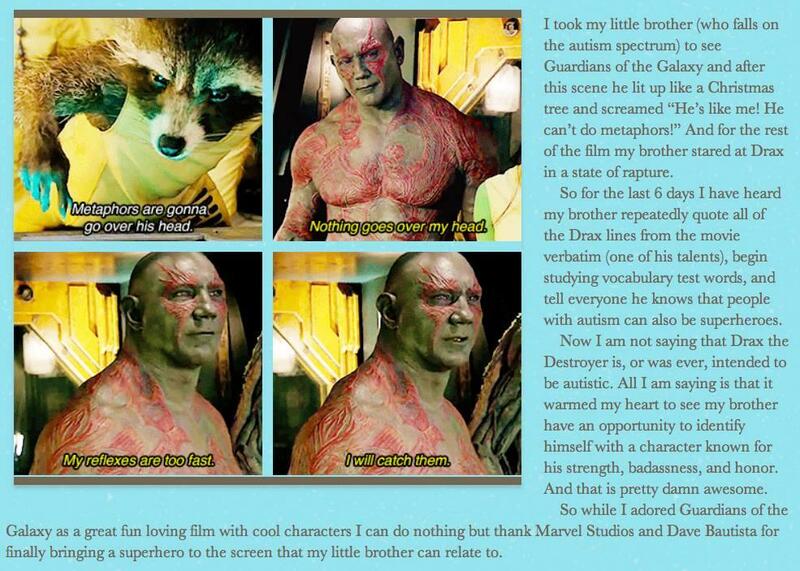 I saw Guardians of the Galaxy, yet this image’s text describing how an autistic boy received and responded to the movie is heartwarming. Previous Post The Giver – Christian Themes and Response! Next Post Religious Syncretism – German woman takes a stand against Chrislam!